On Saturday, the alarm rang just before 6am. There was heavy fog hanging over our small village but the sun was already up. We had a three hour drive into Belgium ahead of us. Across Flanders fields, around Gent, over Brussels, finally arriving at our destination, Nieuwerkerken in the far East of Belgium. This is pear growing country with hundreds of farms growing rows and rows of beautifully manicured, espaliered pear trees. In fact, almost everything in this area of Belgium is well kempt and flourishing. Amongst the geometric patchwork of fruit trees lies a small peony farm named Graefswinning. In Spring it is a sparkling jewel in a green land. A few years ago I met Jeaninne Lemmens at the autumn Beervelde garden days. I had almost lunged at her in excitement having never met a peony grower before and being so excited to see so many peony varieties before my eyes. Jeaninne is a lovely, gentle, knowledgable woman with a deep passion for peonies. 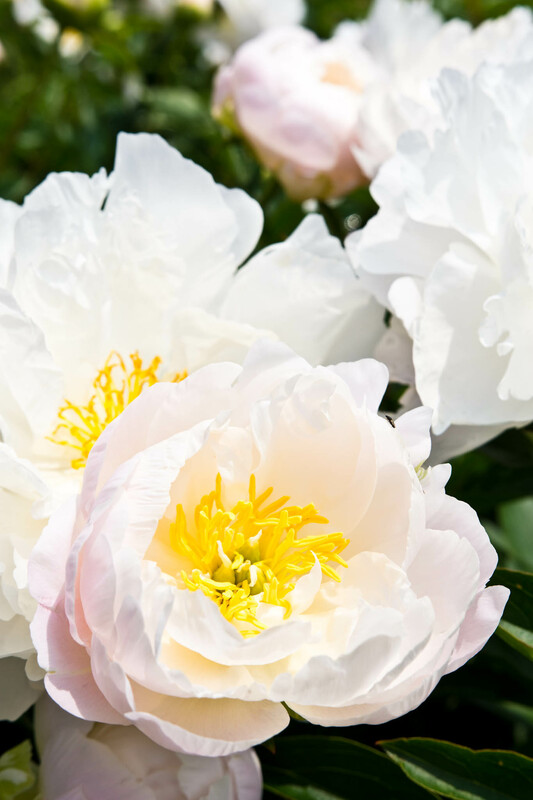 She is a board member of the American Peony Society which for more than a century has strived to promote and foster the cultivation of peonies as a garden and landscape plant. She is the only European member of the board. She and her husband bought their farm in 2010. It was already planted with production pear trees. She jokes that the locals thought she was crazy pulling out pear trees to plant peonies. The farm still produces pears, mostly Conference pear, however it is the peonies that give her the greatest pleasure. 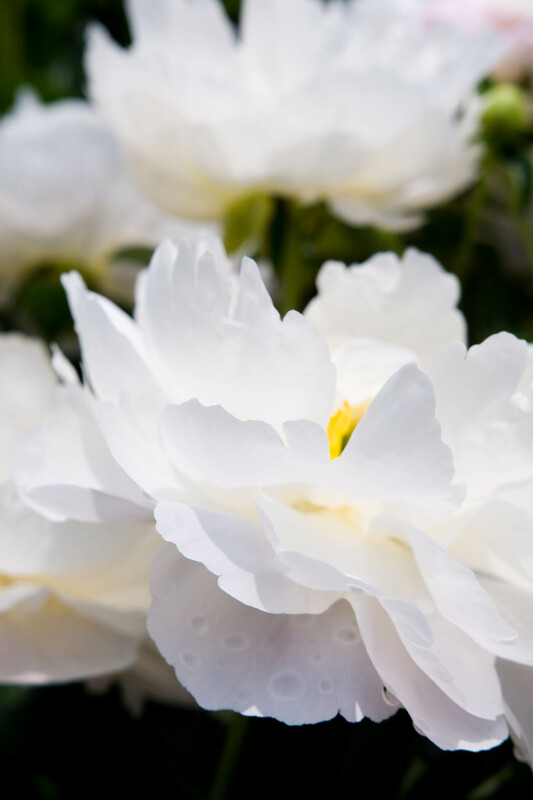 Jeaninne had an open day last weekend, timed to allow guests the opportunity to experience thousands of peonies in full bloom. The day was hot and the sun’s penetrating light forced the flower heads to reflect intense colour and vibrance, unlike anything I have seen before. The reds vibrated in the eye and the delicate, paper thin white petals almost camouflaged into the bright white light. Around the old brick farm buildings, outside of the peony fields, grows an enormous hedge row of pine and on the ground, wild chamomile. In the humid air, the pine, chamomile, peony and warming earth formed an ancient, evocative perfume. Standing amongst the peony rows, swaying gently in that aromatic soup, I was ushered through moments in human memory. A Japanese woman dressed in a kimono bows down slowly towards the blooming peony to breath in its sweet and tender scent. An old Chinese man, with an older hand made tool pressed against his palm, digs in the fresh earth searching gently for the root. Its potion will stave off his beloved wife’s rheumatism. In home gardens, peonies are generally planted and left undisturbed. They can be an incredibly long living plant, sometimes up to and over fifty years. 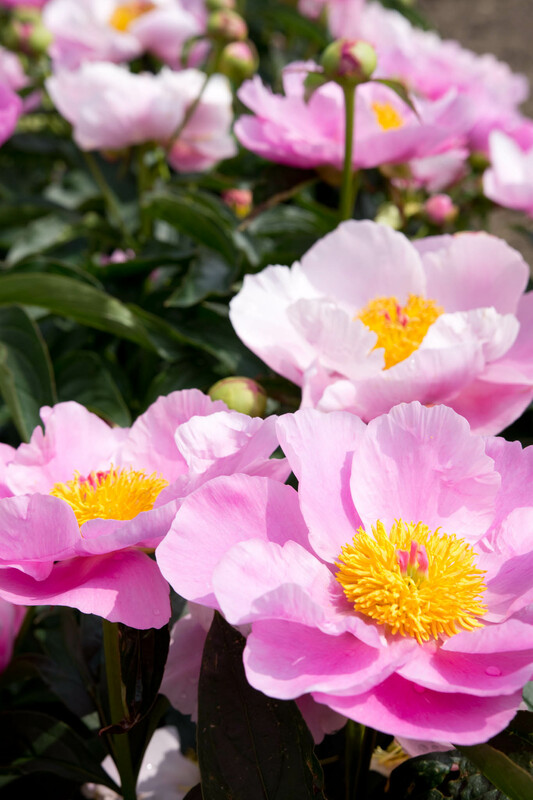 When cultivated, herbaceous and Itoh peonies are reproduced by dividing the root while tree peonies are grafted. For the purposes of multiplication, Jeaninne divides her plants every three years. So, if a grower like Jeaninne starts with a new variety and only a small number of plants, there can be a significant time investment before they can start selling plants to the public. Jeaninne grows three hundred varieties but makes one hundred of these available in her store. Availability, taste and fashion determine those select one hundred. The farm also produces cutting flowers which are sold at the flower auction Veiling Rhein Maas in Germany, at garden shows and on the farm. Due to her strong relationships with growers in the United States, many of her plants are sourced from hybridizers there. 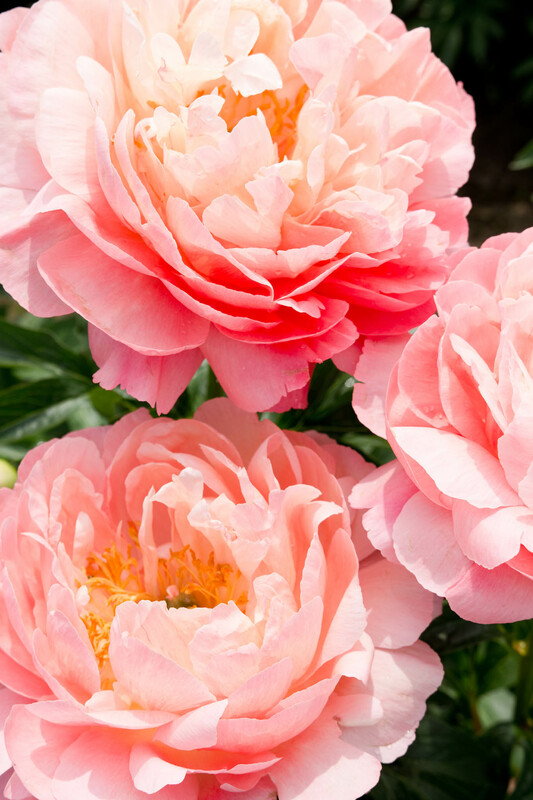 A number of these peonies are rare in Europe, some exclusively grown and nurtured by her. Red Grace, pictured in the last two images of this post is one of these, hybridized by Lyman D. Glasscock from Elmwood, Illinois in the US. Jeaninne now sells it as plants and cut flowers. 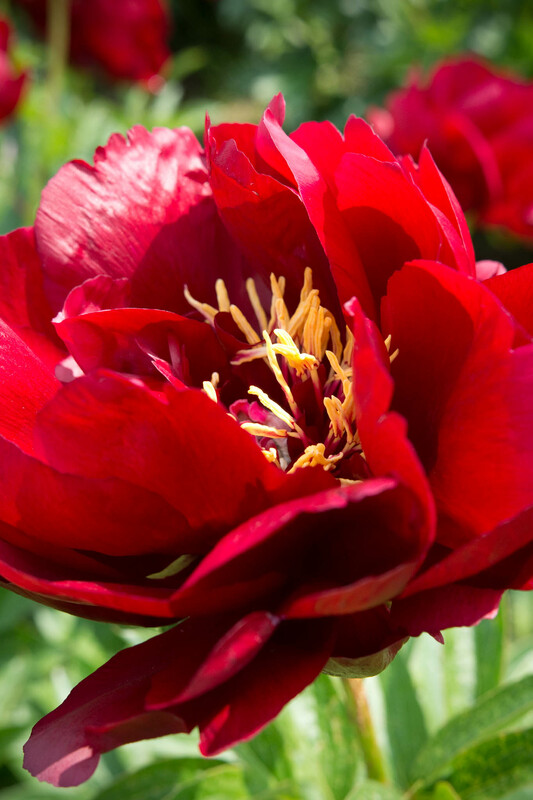 This peony has an enormous flower head filled with hundreds of claret red petals that burst from the center in an explosion of colour and texture, it stands out amongst the other flowers. 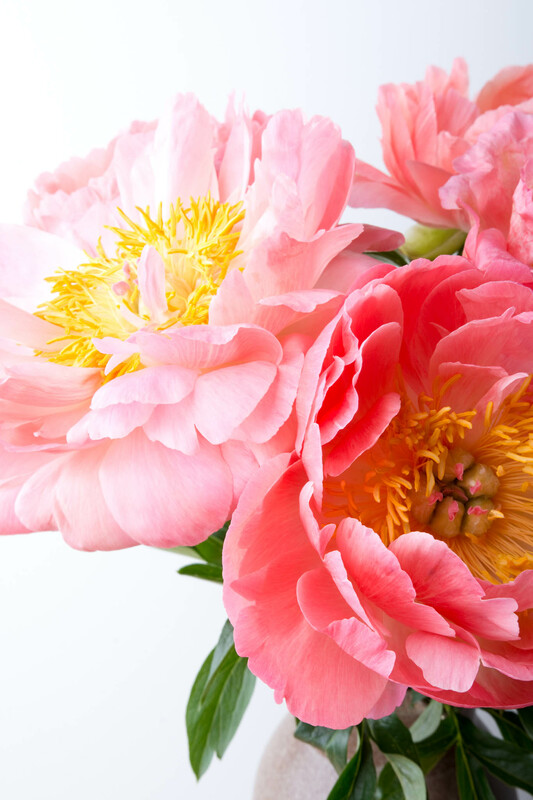 Peonies have been cultivated for centuries, with known sources dating back 4000 years. 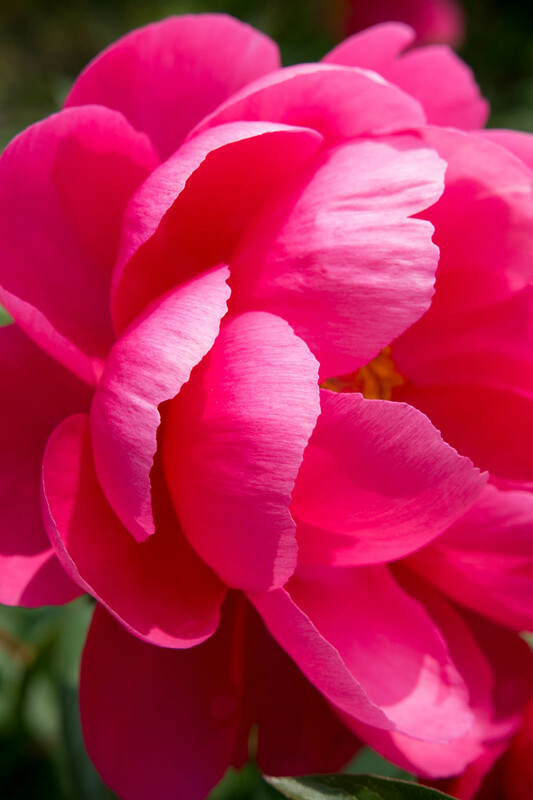 Used medicinally in Asia, the peony was a respected and important ingredient to healers and apothecaries. All parts of the plant were used to create tinctures, oils and lotions and were administered for treating a range of ailments: gout, osteoarthritis, respiratory problems, skin problems, stomach upset, migraines, chronic fatigue and many others. 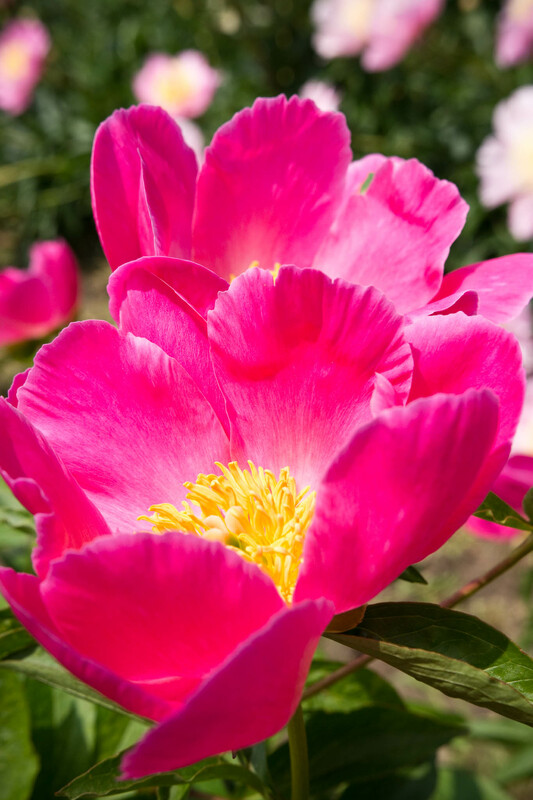 Today, early research shows promise in using chemicals and substances derived from the peony plant in the treatment of muscle cramps and rheumatoid arthritis. 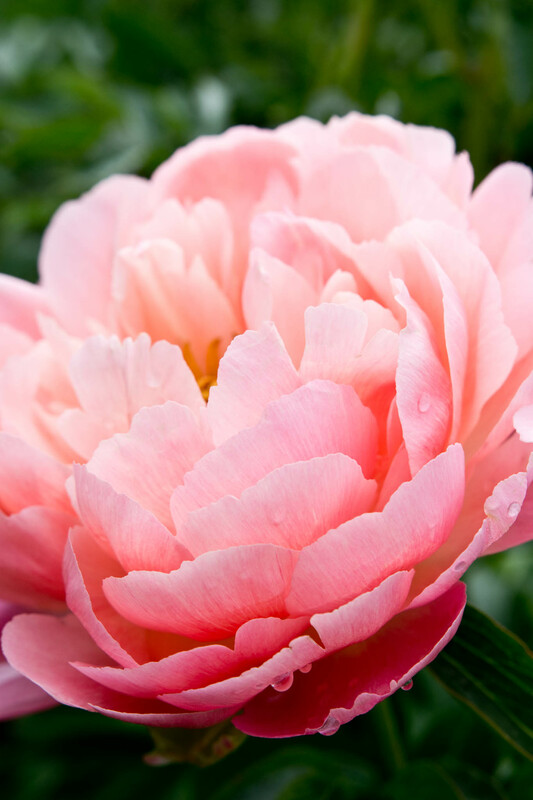 But despite its impressive healing powers, it is our undeniable fascination with the peony’s exquisite beauty that has bound its fate. It now has an established and enduring place in horticulture and in our homes and gardens. 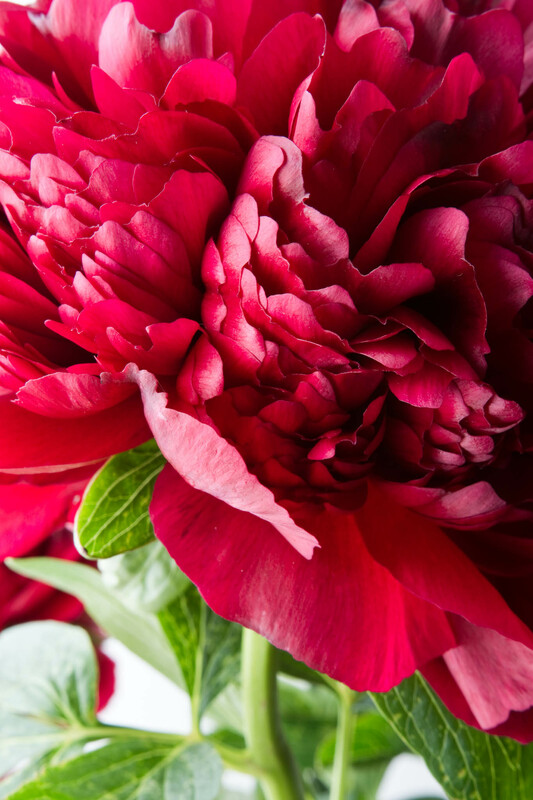 The peony has been adored by artists, writers and poets across cultures. Its finest portraits I believe are in the work of Japanese Ukiyo-e masters who eternalised their elegant, evocative and romantic nature. The Dutch painters of the Golden Age expressed their voluptuous, rich and opulent nature while at the same time documenting and symbolising the wealth, exploration and trade that the peonies represented. Many peonies were after all, exotic flowers from the East. In France, Renoir and Manet presented an impression of the peony in quiet, peaceful daily life, capturing our intimate and enduring love affair with this remarkable flower. 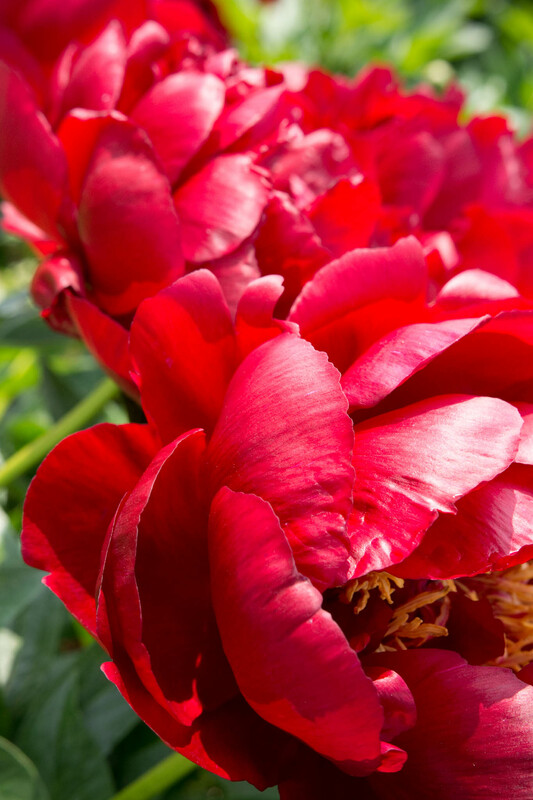 As a gardener, visiting the peony farm and seeing each variety in person allows you to experience their true character. It is an invaluable way of choosing suitable types for your own garden. 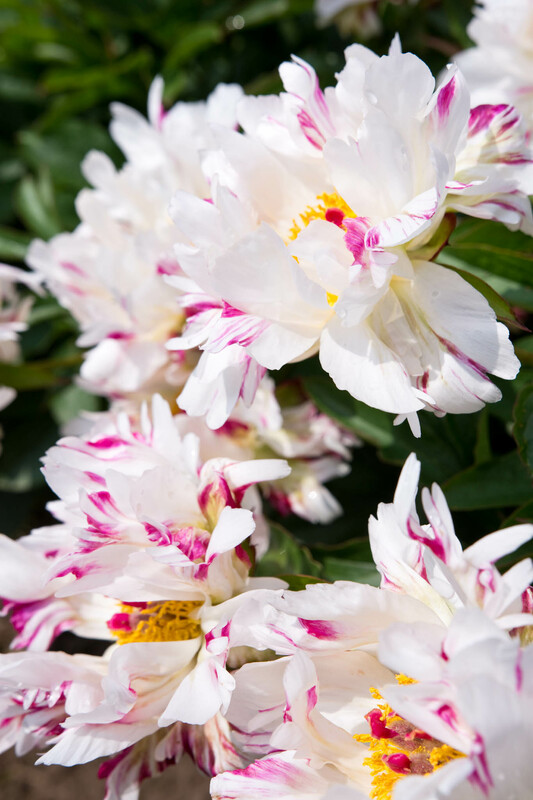 Although peonies only have a short flowering period of two to three weeks, you can extend the bloom by having a range of very early to very late flowering varieties and enjoy peonies for six to eight weeks. 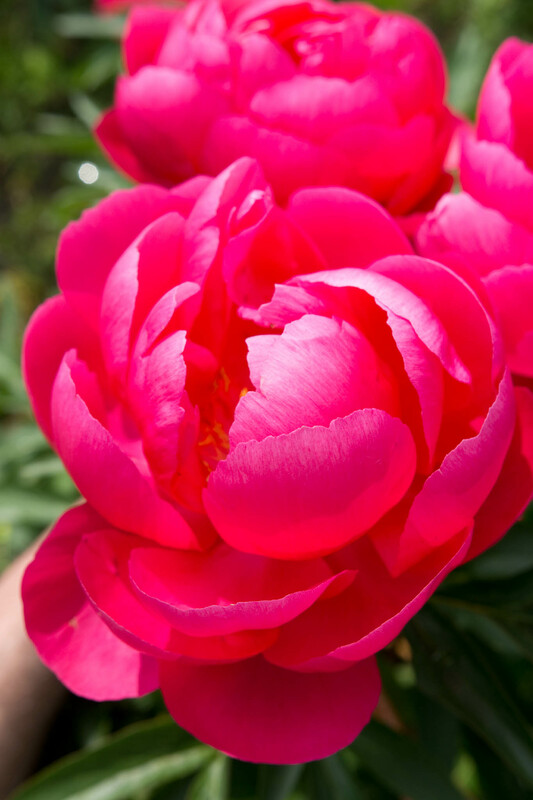 You can plant spring bulbs amongst your peonies which will flower as the peony foliage begins to emerge. Mixed perennials like the Bearded Iris are a beautiful companion flowering plant as are alliums and poppies. 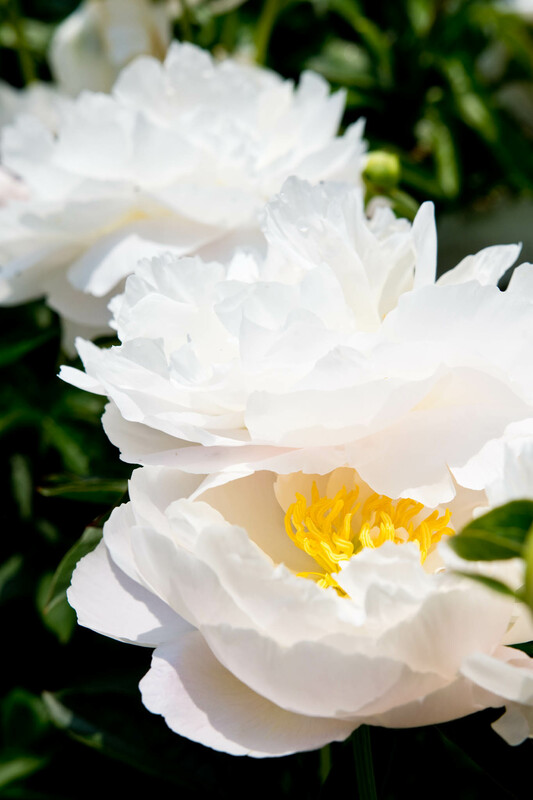 They flower at the same time and later than peonies. Flowering woody shrubs like azalea or flowering trees like dogwood, magnolia and cherry are exquisite when planted behind and create a luscious backdrop. 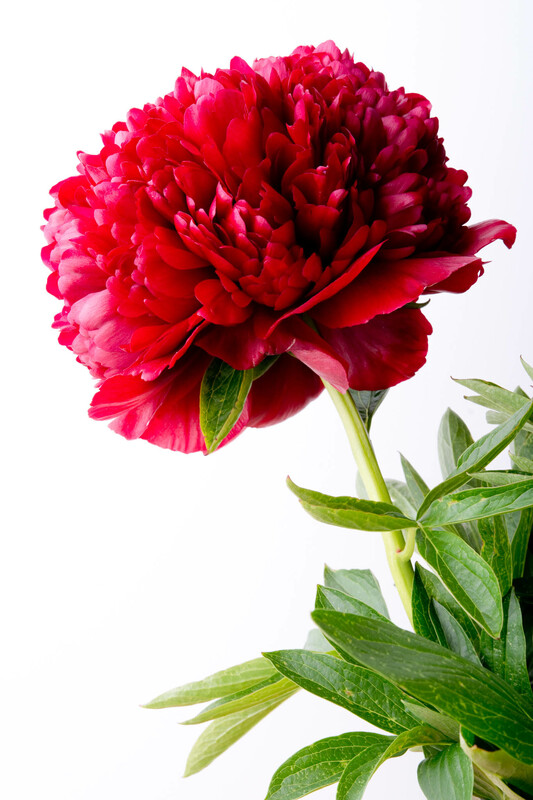 The great thing about peonies as decorative cut flowers, is that they are absolutely at home all on their own. There is no need to source a bouquet rich in variety or complicate the spontaneity of bringing flowers into your home. Their sublime range of shades and tones and similar foliage across varieties means that you can cut flowers from different plants, form a bouquet and pop them in a vessel. They are an impeccably elegant and evocative statement and certainly herald the arrival of spring in a glorious fashion. I scatter large bouquets all over the house, on central tables, side tables, the dressing table and on the dining table when we are not dining. I can’t get enough of them. 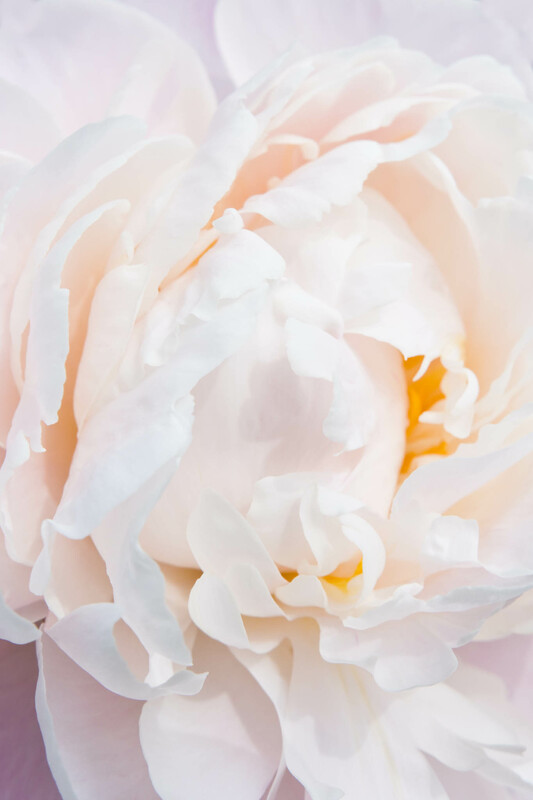 Depending on the mood of your interior, the range of peony colours allow for the expression of stately elegance in the whites, romantic whimsy in the light pinks, joy in the magentas and passion in the darker reds. The peonies photographed are as follows: 1st & 2nd: Miss America. 3rd: Circus-Circus. 6th, 7th & 8th: Coral Sunset. 9th: Soft Salmon Joy. 11th & 12th: Ellen Cowley. 13th & 14th: Buckeye Belle. 15th & 16th: Red Grace.